What effect will autonomous driving have on commercial vehicles? Think Insurance finds out. As the UK Government plans to invest £100 million in driverless technology this year, Think Insurance wanted to consider what might happen to the commercial side of transport, taking in the current technology and the proposed ideas for the future, and also exploring the future of the commercial driver. Though cars are not yet driving themselves, we have already seen certain driverless technology incorporated into commercial vehicles. Take the new Volvo Trucks, they can now be fitted with a cruise control that monitors the space between the truck and the vehicle in front, better still the car is fitted with a collision warning that will light on the windscreen and an emergency brake, which automatically assists drivers if they are likely to crash. You can watch the technology for yourself in this, honestly, terrifying video. Other sensory technologies currently available can alert drivers if cyclists are nearby, it is thought this technology will save hundreds if not thousands of lives every year. Audible or visual alerts can be sent to the driver if a cyclist is close, allowing the driver to take extra caution. The biggest step in autonomous commercial has come with the launch of the Daimler Future Truck. The massively comfortable looking lorry allows the driver to take their eyes of the road and relax, but if necessary the driver can swing round in their chair and take the wheel again. Launched in 2014 at the International Commercial Vehicle Show in Hannover, the vehicle not only has sensors that stop it from causing collisions, it is also linked up to a central traffic control system, which feeds it information, this lets the vehicle know if emergency vehicles are nearby and will move accordingly to avoid them and let them pass. The benefits of autonomous driving are multiple, they’ll be better for the environment by reducing emissions, they’ll be safer for pedestrians, cyclists and other drivers, and they’ll hopefully ease congestion on roads. There seems to be only one negative. With advances getting more and more impressive, it is possible that future employment in commercial driving could one day dry up, after all, staffing is one of the biggest costs for fleet owners. There genuinely could be a day where there is no need for drivers, and the vehicles could do the work, but until then the only autonomous cars being built still require a licensed driver to be in control of the vehicle. At the moment the idea of autonomous controlled vehicles is being welcomed by the majority of fleet drivers, most of them suggesting it would remove stress from their working day. In a survey taken by Venson, a specialist in automotive solutions, 62% said they would welcome the technology. 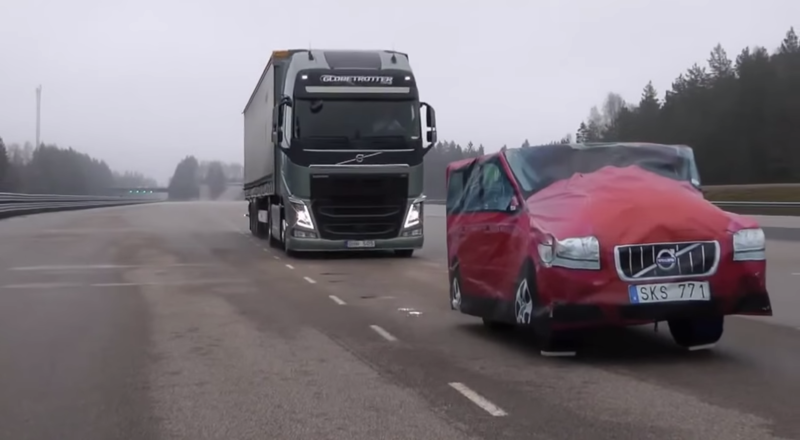 Though only 55% believed the vehicles could actually reduce road accidents. Autonomous vehicles are now being tested in four UK cities, it is hoped that we’ll see the first autonomous cars available to the British public in less than a decade. Until then, fleet drivers will have to keep there eyes on the road! If you are looking for a good deal on your fleet insurance please visit our Fleet Insurance page now. This entry was posted in Fleet Insurance on April 30, 2015 by admin.